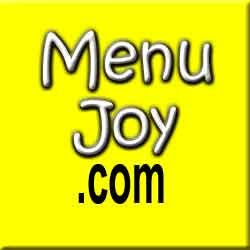 Every Sunday, Mom usually buys something special for breakfast. By special, I mean that she buys pastries, croissants, bagels, donuts, or muffins - anything breakfast-like that we don't normally have in the house aside from cereal, yogurt, and frozen waffles. Since we've gotten to the point where we've had everything over and over again, it's become hard to choose something that will excite us. 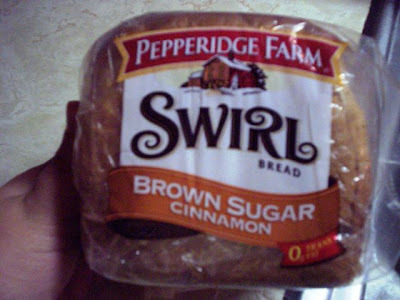 However, once Mom spotted the Pepperidge Farm Swirl Bread, her enthusiasm over Sunday breakfast resumed. Although we've had several versions of the swirl bread before, it's been a while, so we were really looking forward to having some for breakfast the next morning. THE VERDICT: Delicious! In fact, none of Pepperidge Farm products have ever let us down. This particular bread - brown cinnamon sugar - is sliced on the thick side and contains a heavy swirl of flavor. This bread is not your average slice of white; it is a breakfast bread which goes great with a cup of cocoa or coffee. It really doesn't need anything other than a small pat of butter on each slice - the cinnamon taste stands alone. This is definitely a product that we will continue to buy and look forward to having on Sunday mornings - or any morning for that matter!